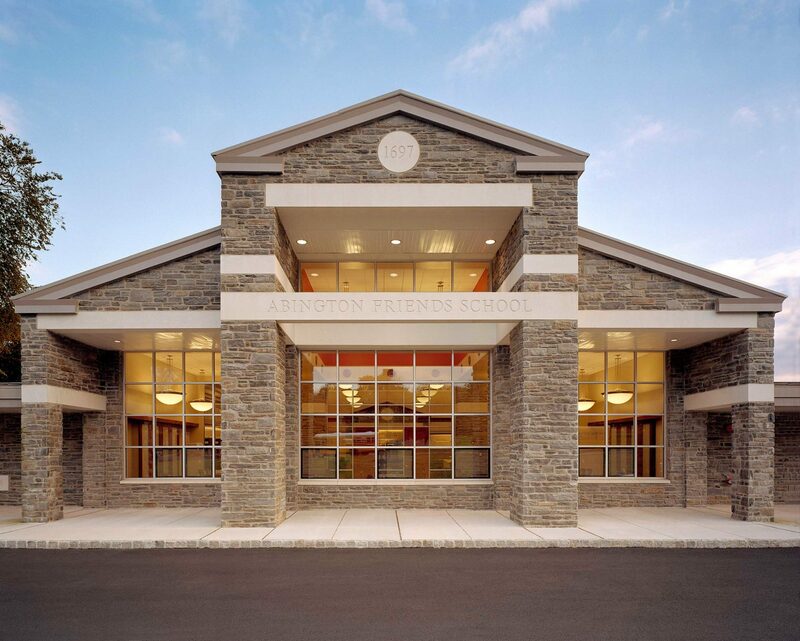 Abington Friends School selected Spillman Farmer Architects to increase its classroom space, add a new library, and to rehabilitate the campus identity. The project involved three major elements: a Library addition, a Student Street addition, and substantial renovations to the building’s lobby, classrooms, and offices. The Library addition expands the facility and supports new technology, while providing spaces that reflect the school’s philosophy of “building through community” while creating a campus focal point.